No, the facts are different. Plato was a mole of Dorian king Philip in Athens to collect information and then guide the king on attacking Athens. For his own protection, Plato became a disciple of Socrates and established his Academy there. 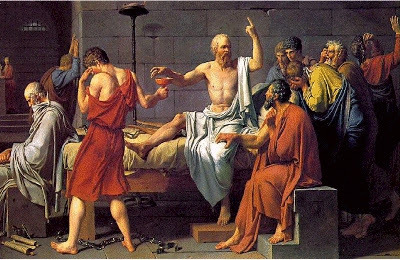 On signals from Plato, Philip invaded Athens (then known as Acropolis) and drove out or killed all the Acropols but captured Socrates to kill him through poisoning. The Acropols fled to India and resettled there in the North and build their own city Agra. Here Acropols are known as Agrawals. The information you have provided about Agrawals is new to me.Thanks for sharing!! !